Awesome 4th of July dinner! The best Italian meal ever!! Our first time here from Ft. Lauderdale and we wish we had this restaurant on our coast! Fabulous food and attentive staff and owner. 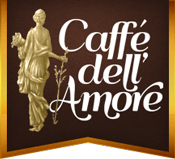 When in Naples you have to go to this caffe! We will be back! !